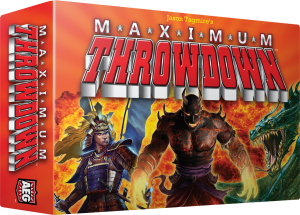 That’s right Maximum Throwdown, Jason Tagmire’s card flinging game has arrived! Well.. Not in our grubby little hands yet, but you can pick up your own copy from the retailer of your choice, and that’s the important thing. So last week while Jeremiah was on vacation with his family, and Firestone had his own sort of busyness at the day job, the rest of the gaming universe had a little party called Gen-Con. Pretty much the Mecca for gaming geeks world over. There were more than a few games that launched/premiered at the con, and I’m sure more than a few surprises along the way. So today, we want to hear from you! What were the highlights of Gen-Con? What titles delivered the goods, or fell flat? And more importantly what were the sleeper games that no one knew about? Did you compete in any of the organized tournaments during the con? Did you win? Please, please tell us all the juicy bits! Leave ’em in the comments below! Thanks everyone! Hope you had a great time at the con! 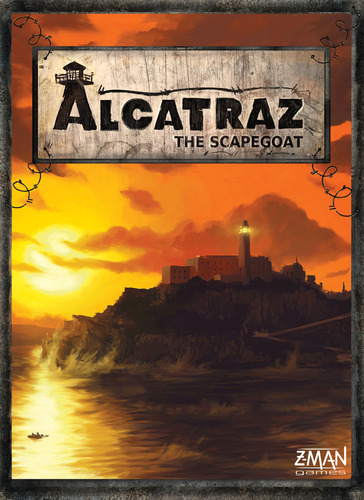 If you’re quick, witty, and underhanded enough you can escape from Alcatraz, you can also pre-order the new board game from Z-Man Games. The game releases at Gen-Con next month and they’re only taking pre-orders until tomorrow (Fri, July 28). Alcatraz – looks like another game in the vein of Battlestar Galactica or The Resistance, only this time players are cooperatively planning a prison break from the Rock. Only to find out one of them is going to get left behind in order for the plans to succeed! I just read up on the game this morning and it has me pretty geeked out right now. And the best news: There’s no hint of Nicolas Cage, anywhere. I would, however, suggest playing it with close friends who will be willing to patch things up after you punched them in the nose for stabbing you in the back. Or, I’d suggest you remember it’s only a game! Sadly, neither of us here at TOG have plans to attend Gen-Con, which is tragic news for us. But we’ll be working to get our hands on this one as soon as possible! If you’re going, and you get a chance to play this, please let us know how you liked it—leave your comments here! What other games are you looking forward to playing at the Con?